I love the juxtaposition of this outfit. 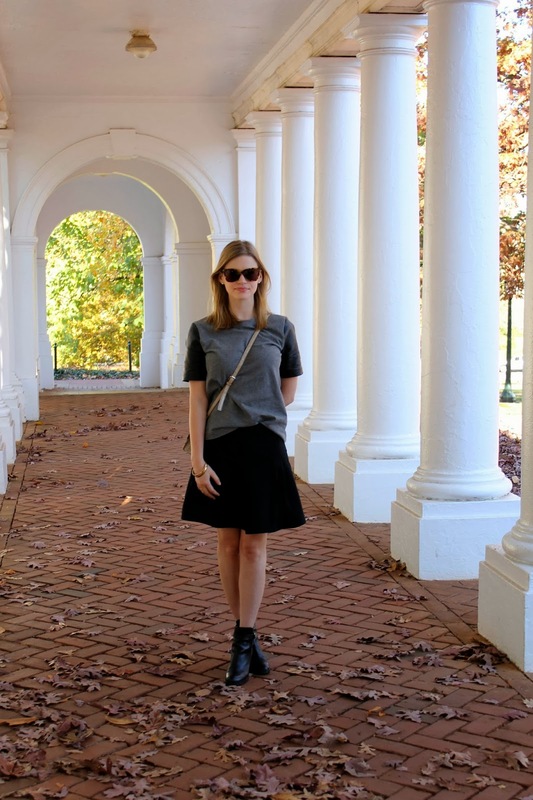 The fullness of this skirt plays down the masculine cut of this leather tee, which I picked up a few weeks ago. My goal for this season was to add a few leather pieces to my wardrobe, and I think I've been fairly successful. 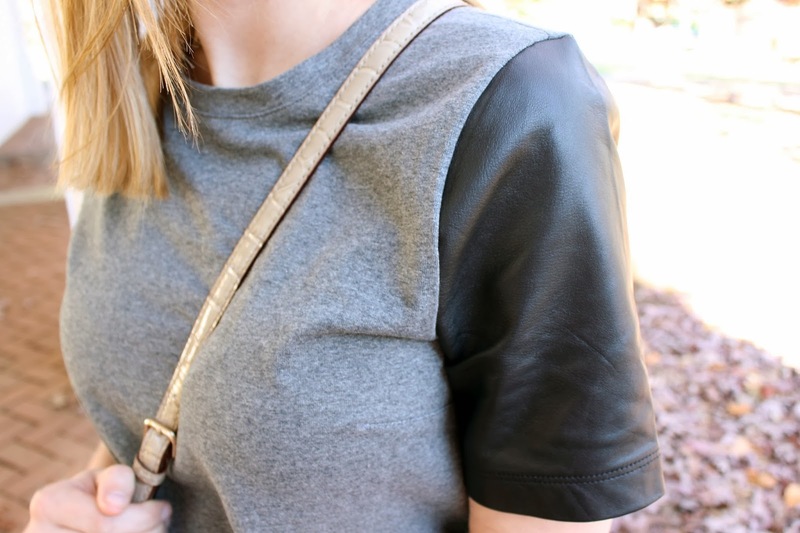 I'm still looking for the perfect leather moto jacket, but until then this leather tee will fulfill my leather obsession.